1036 cc / 63.2 cub in. Ohlins FGRT 43 mm dia. 120 mm / 4.7 in. 1505 mm / 59.3 in. 810 mm / 31.9 in. The cylinders pointed in opposite directions like BMW’s boxer twins, but instead of sticking out to either side, the Midual 900 had one cylinder pointed toward the front wheel and the other pointing up to the tail. The Midual Type 1 still uses a transverse flat-twin engine design and the cylinders laying in the frame at a 25° downward angle. Midual claims the arrangement offers a low center of gravity while reducing longitudinal inertia. 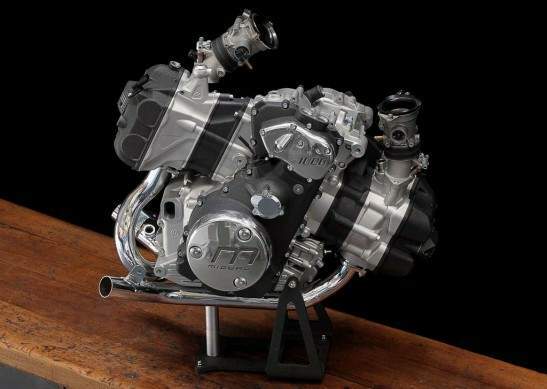 While the original 900 concept had a 94 mm bore and 63 mm stroke, the Type 1 has a 100 mm cylinder bore with a 66 mm stroke, giving it a 1036cc displacement. Midual claims 74 ft-lb. 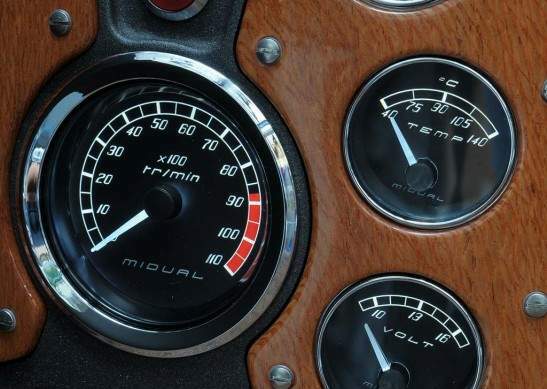 of torque at 5300 rpm with a peak of 106 hp at 8000 rpm, just 800 rpm below the liquid-cooled, fuel-injected DOHC four-valve per cylinder engine’s rev limit. The engine is mounted to an aluminum alloy frame with an integrated fuel tank, holding 3.7 gallons of gasoline. The top of the fuel tank houses an instrument panel with several analog gauges. 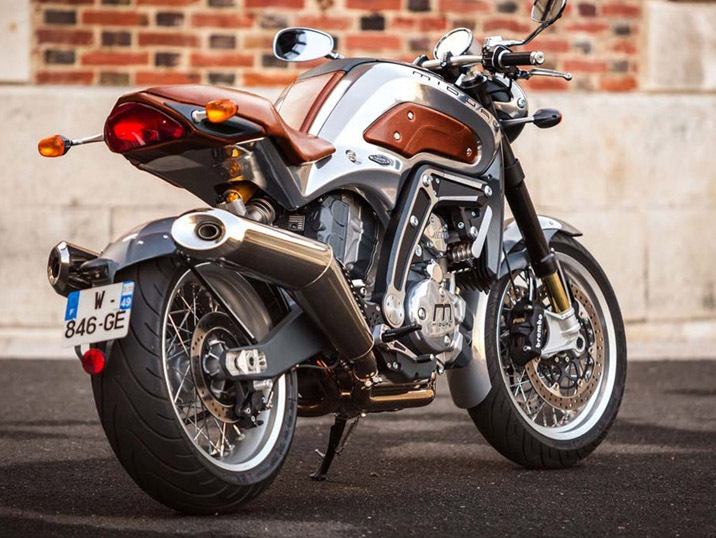 Despite garnering a lot of attention at the 1999 Salon du Deux-Roues motorcycle fair in Paris, Midual did not have the financial resources to bring the concept to production. The brand faded into obscurity until it resurfaced with a brand new prototype at the Pebble Beach Concours d’Elegance in Carmel, Calif. The Midual is equipped with a 43mm Ohlins FGRT fork offering 120 mm of travel. Midual says the rake is adjustable from 24 to 25°, with a 100mm trail when the rake is set to 24.5°. The rear wheel and aluminum swingarm is suspened by a cantilevered Ohlins TTX36 rear shock which also offers 120 mm of travel. Brembo provides the braking components which include dual-piston calipers gripping the two 320mm floating discs up front and a two-piston caliper with 245mm disc at the rear. eing a French company, Midual wrapped the 17-inch wire-spoke wheels in Michelin tires, with a 120-70 tire up front and a 180/55 at the rear. 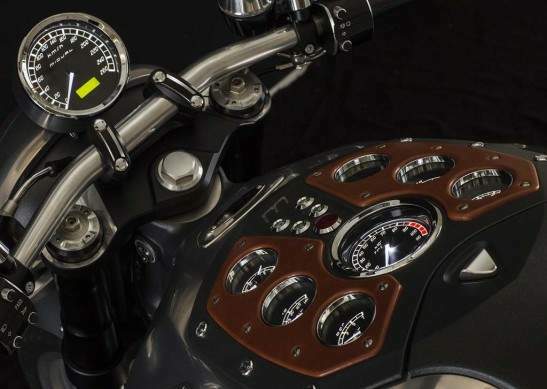 The Midual displays a high attention to detail in the leather hand grips, fuel tank knee grips and instrument panel finishes. Midual promises to offer a number of customizable touches from various seat colors, and a choice of Australian oak or metal instrument panel finishes. Midual has been testing its Type 1 prototype since the summer of 2013 but the finished product won’t be ready until 2016. 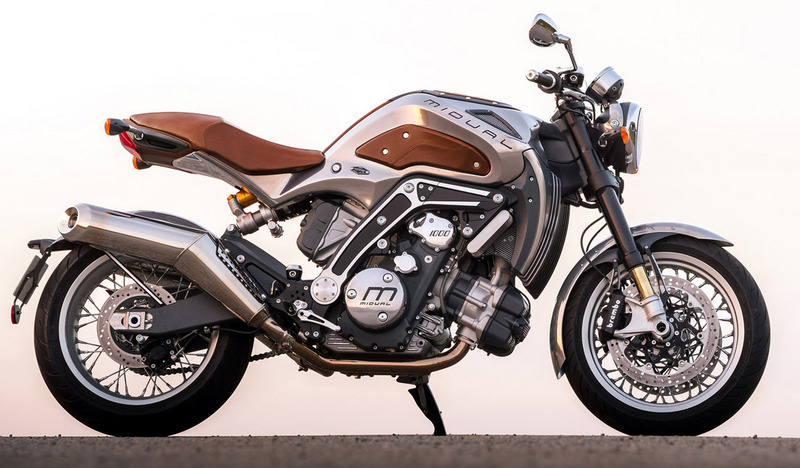 Midual plans to produce only 35 examples of the Type 1 for sale to European customers, and is already accepting orders at a hefty price of €140,000 (US$187,066). 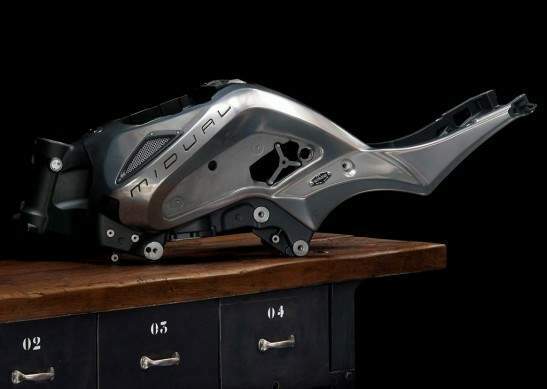 Being a boutique brand, Midual is also offering a four-year warranty and maintenance plan which includes the cost of picking up the motorcycle and shipping it to and from the factory for service. 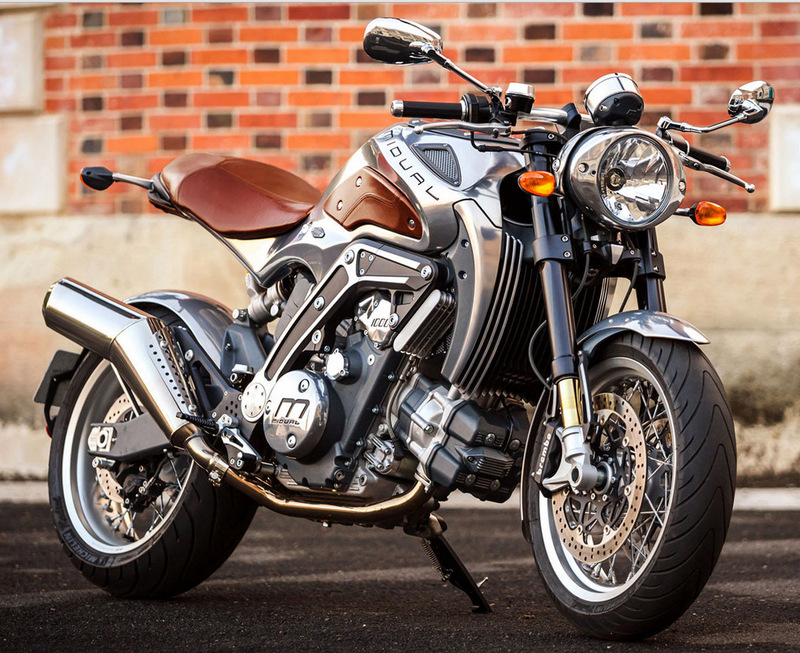 NOTE: Any correction or more information on these motorcycles will kindly be appreciated, Some country's motorcycle specifications can be different to motorcyclespecs.co.za. Confirm with your motorcycle dealer before ordering any parts or spares. Any objections to articles or photos placed on motorcyclespecs.co.za will be removed upon request.